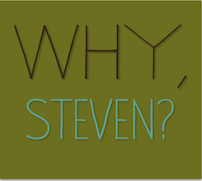 My name is Steven Morrison. 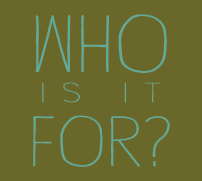 I'm known in certain circles as a former psychotherapist, an author, and creator of Spiritual Workout®. I have been practicing and facilitating this work for 25 years and with more than 100,000 hours of clinical/practical experience, have cultivated a mastery of it. Wherever you may go on this site, it's me talking to you via the written word. And while I do my best to explain what Spiritual Workout is all about, it is also one of those things that must be experienced to be appreciated. So sooner or later, one way or another, I look forward to meeting and working with you. And, of course, I invite your inquiries. At its core, Spiritual Workout is a practice. It's a way to live. It's as simple as it is dynamic, as practical as it is non-religious, as compelling as it is unique, and as thought-provoking as it is uplifting. Says me anyway. ...as a means to grow; as a means to solve, heal, and move through the issues and problems of everyday life and living. Once and for all. When we practice (and practice and practice) filtering our issues through these concepts, we fundamentally change how we think. Then, everything changes -- for the better. Over time I have seen all kinds of people lift themselves out of depression, eliminate anxiety, conquer grief, and re-adjust to new identities. I've seen couples on the brink re-imagine their relationships and grow closer than they ever thought possible. I've seen old, non-serving belief systems (like "I'm not good enough" and "love is painful") be replaced with more truthful, new ones that serve us brilliantly (like "I like who I am" and "love is all there is"). For sure, the same is possible for you. I’ve come to believe that Spiritual Workout is primarily for people who are sick and tired of something being the way it is and/or the way its been and who are seeking real, lasting change. Issues related to relationships, careers, physical health, money, personal identity, and grief and loss often top the charts but everything is on the table. It is also very much for people confronting a crisis of some sort -- something major that has suddenly appeared in one's experience and about which they are unsure how to navigate. 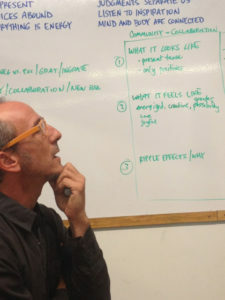 It can be used by individuals to explore any issue whatsoever and similarly by couples at any stage of their relationship; it can be used by specific kinds of individuals who share particular challenges such as entrepreneurs or artists or moms; it can be used to look at specific topics like those listed above. For businesses and organizations and teams within businesses and organizations, the work can be had in somewhat different form via my consultancy, The Consciousness Company. If you see your Self as a spiritual being having a human experience and you nod in agreement with the 15 concepts that make up this practice, you will love Spiritual Workout. Spiritual Workout exists because I am a man obsessed with using higher consciousness to solve problems. That's because it works every single time. I got here, it seems, after first earning a Master's degree in Marriage, Family, and Child Counseling, after which came a license as a psychotherapist (M.F.T.) in the great state of California. A regular path. 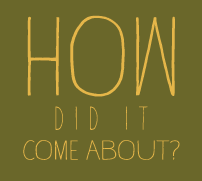 Yet while I was in that multi-year extravaganza of a process, I was also asking all those questions we seekers ask about who I was, what life was about, and what the hell it was I was supposed to be doing with mine. I started reading a number of New Age, self-help, and personal development books, going to workshops and seminars, listening to audio lectures and before long it seemed clear that they were all pretty much saying the same things. To me, it all boiled down to a collection of The Concepts. When it seemed like everyone else was quite eagerly hopping like frogs on lily pads from one teacher to the next, one book to the next, one retreat experience to the next, I felt like I was catching up to the caboose of speeding train. I mean, if best-selling books about what a soul was or why intentions are so important were best-sellers whose author/teachers sold out events in cities worldwide, then clearly I needed to catch up and catch up fast. So I went about the business of integrating these ancient teachings into my own personal experience and began seeing deep and meaningful changes taking hold in my life. I then began to bring the concepts into my work with clients until I re-made my entire psychotherapy practice into a practice of these 15 ideas. Over time, I voluntarily gave up my license to practice psychotherapy for several reasons, not the least of which I wasn't practicing psychotherapy anymore. And then, Spiritual Workout was born. I do what I do because I have learned, unequivocally, that we humans don't have to suffer. None of us, for any reason. No matter who you are, what race you are, what gender, if you have one, no matter what religion or socioeconomic background you come from, no matter what your struggles are, you can change your life and make it a happy one with this practice. That's because none of this practice is made up or new. It's ancient. It's what all the gurus and authors and teachers and religions and philosophies and spiritual disciplines have always said. I do this work because it's time to anchor it all into our daily life experiences. More personally, I do this work because it feels like a calling. When I listen to inspiration, as we do in Spiritual Workout world, I feel excited and energized and enthusiastic about my work; I feel connected and on purpose; I feel confident and buoyant and engaged. See that ridiculous picture of me with my arms spread, head tilted back, apparently enjoying life as much as any human could? I used to be so turned off by pictures of people looking this way. All that joy! All that light! It made me nauseous because I believed I wasn't like them, that I couldn't and wouldn't ever be happy like them, and that I'd never have what they had. But now I do and I know anyone can too. It's not about feeling like this 24/7, although I certainly feel like this way more often than I used to -- and way more often than not. But with some sustained effort -- it's called a workout for a reason -- we can all learn not only how to solve problems and issues but, most importantly, how not to create them in the first place. It's a privilege to do this work. It never ceases to amaze me that people will invite me into their inner worlds and allow me to do what I do best: diagnose the issue(s) and present a crystal clear path to resolution. That is, complete, total resolution. We don't learn in Spiritual Workout how to manage anger or manage anxiety, we learn to not create anger or anxiety in the first place. We don't learn here to want only what we think is possible, but to follow deeply the calling of our hearts. We don't simply "try" to change, we engage in actual transformation as in, I was once that, now I'm this. I was once a victim, now I'm empowered. I was once incapable of relationship, now I'm married more happily than I ever thought possible. I didn't used to know who I was, now I know for sure who I am. What's Now and What's Next? Throughout 2018 I am concentrating on seeing a limited number of clients in two ways: private sessions and in-depth personal retreats. Next up will be a series of online workshops. Make sure to add your Self to our mailing list (bottom right of this page) today and you'll be looped in whenever there's something to report. If today is not the day to explore private sessions or a personal retreat, there is much you can do to familiarize your Self with Spiritual Workout and to augment your growth in the process. I didn't want to write this book, but Spiritual Workout veterans kept asking. And asking. My resistances were many, not the least of which was that Spiritual Workout is such a dynamic experience, I couldn't figure out how I could present what it is in written form. Kind of like squeezing an ocean through a straw. Ultimately, however, I relented. I landed on a format and figured I'd bang out 15-20 pages worth of bare-bones, here's-what-Spiritual-Workout-is-all-about material and be done with it. 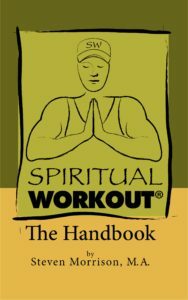 More than 100 pages later, The Spiritual Workout Handbook was completed. It's a concept-by-concept approach that, while no substitute for experiencing the practice in person, is chock full of examples of what this approach to living looks like in real life. Its actually a perfect overview for beginners and can be an excellent reference if you already have some experience under your belt. Add your Self to the Spiritual Workout email list (bottom right of this page) and receive a downloadable copy for free or click on the image and purchase a digital copy. I'm sure he didn't do it on purpose, but when my partner died he really challenged me to practice what I had begun to preach. 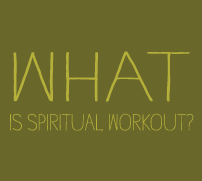 I'd yet to facilitate a single Spiritual Workout class or workshop -- I hadn't even uttered those two words out loud. 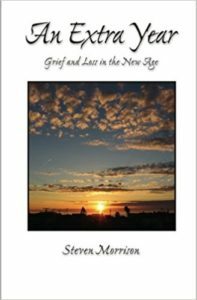 But I'd been espousing and working with The Concepts for many years in my personal life as well as with my clients in my psychotherapy practice so in the wake of his death, I essentially did a year-long one-man "Spiritual Workout for Grief and Loss." An Extra Year is a chronicle of that journey. I've heard it said that nothing disappears from the internet so until about 150 Spiritual Workout blog posts re-appear from the abyss, I've been posting new writing on Medium. Some of the pieces are geared to individual/personal growth and development and some are perspectives of what politics and other issues might look like through the lens of the 15 concepts. Because I am focusing only on private sessions and personal retreats for the remainder of 2018, Spiritual Workout will NOT inundate you with emails, for sure. 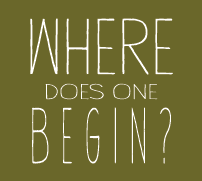 That said, one never knows when an online workshop or a live event in your neighborhood may occur. If you add your Self to the Spiritual Workout mailing list (bottom right of this page) you will be informed of anything that's upcoming as and when it comes. And you'll receive a copy of The Spiritual Workout Handbook, with my compliments. And get a copy of The Spiritual Workout Handbook. © 2018 Spiritual Workout. All Rights Reserved.